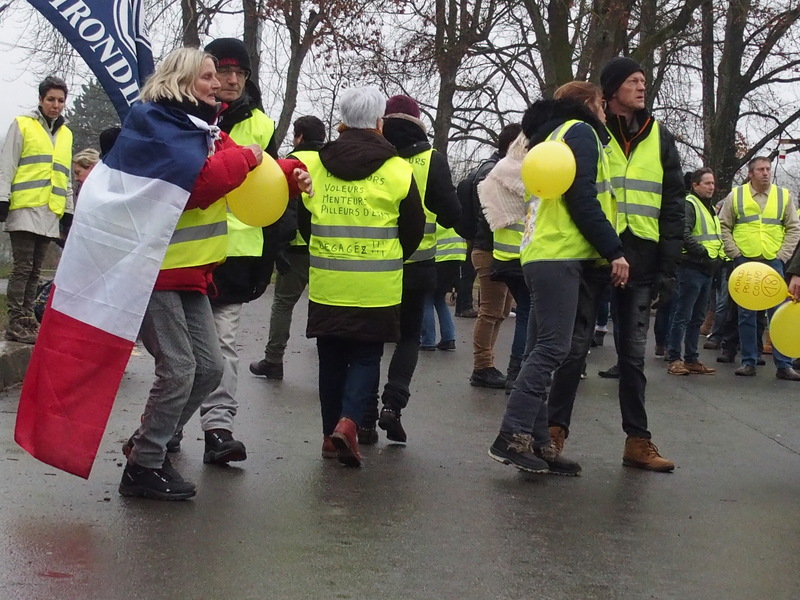 A morning mixing with the Yellow Vests movement as they gather in Bourges for their signature national demonstration. All human life is here. 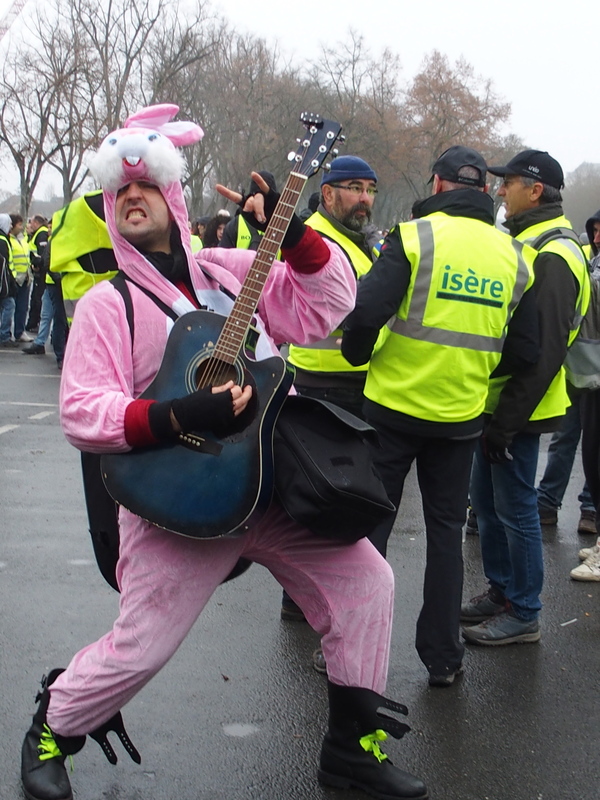 I’ve met teachers, lorry drivers, doctors, nurses … all those who make up our everydays and all those who feel neglected an even despised by the Macron government A feeling of malcontent in the air, but a refusal of all violent action on today’s demo and in the crowd itself, there is almost a carnival atmosphere. A discreet police presence just a couple of hours before the main demo. Sky News, Italian TV and even the BBC are all in town. 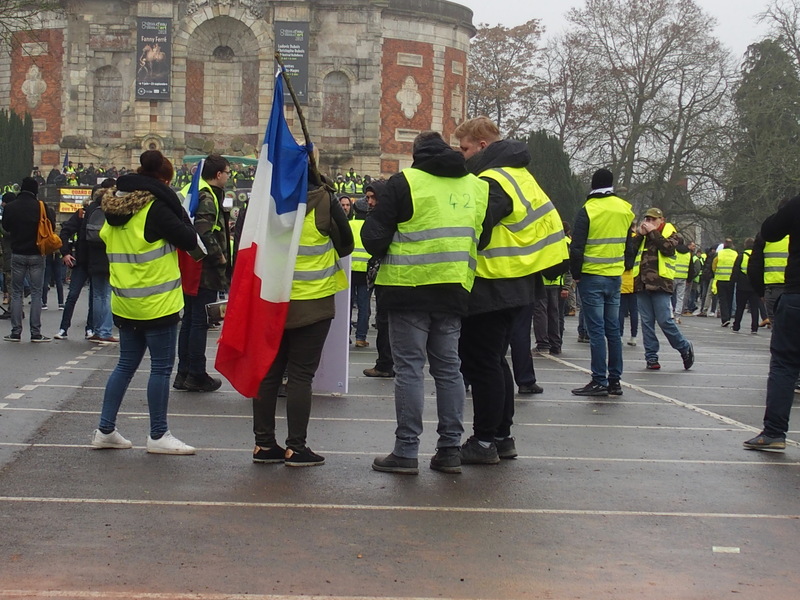 An important demo, because it is the first time sinec the movement began on 17 November last year thatthe Yellow Vests have tried a big national demo outside of Paris. A few photos of the “revolution” so far. 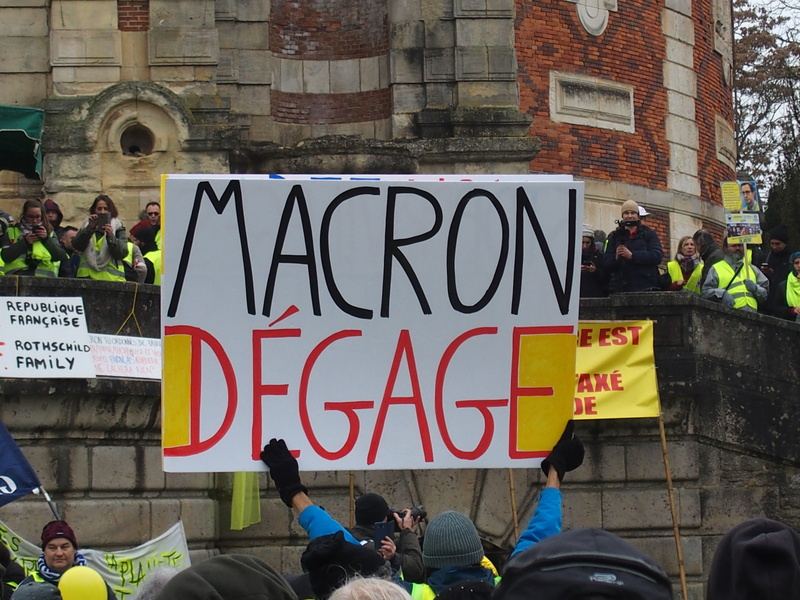 Posted in Bourges, Culture, France, French, photography, politics, Provincial France and tagged Bourges, Gilets jaunes, revolution, Yellow vests. Bookmark the permalink. 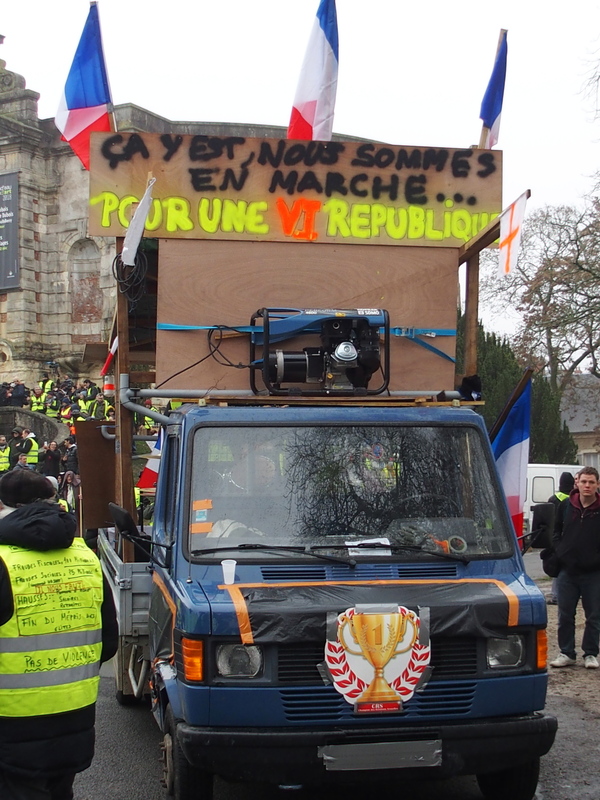 Bonjour Nick – Great post, super pictures that really capture that Carnival/Serious aspect of Bourges today. 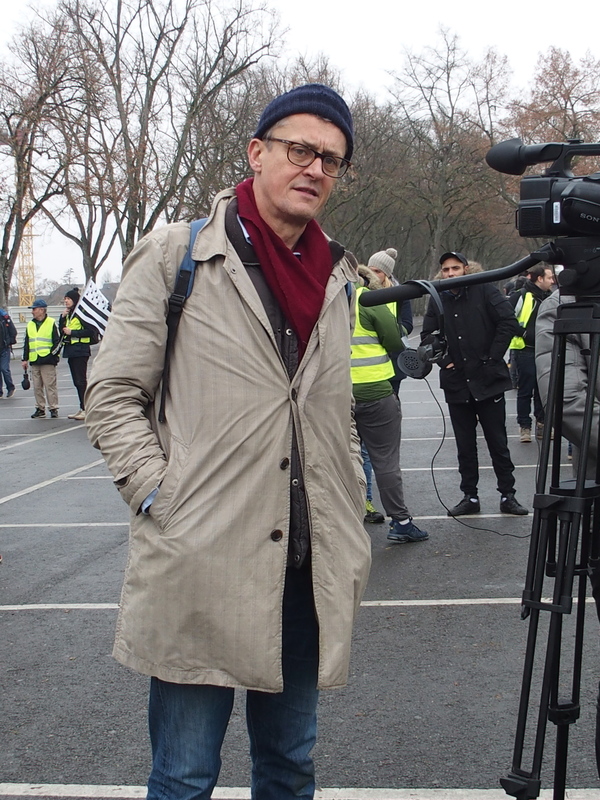 I really hope that you have a safe day and do not experience the extreme levels of violence and destruction that ‘Bad Actors’ attaching themselves to the protest have reeked here in Bordeaux. Hi there. Thanks or the comment. Yeah it was a good day. 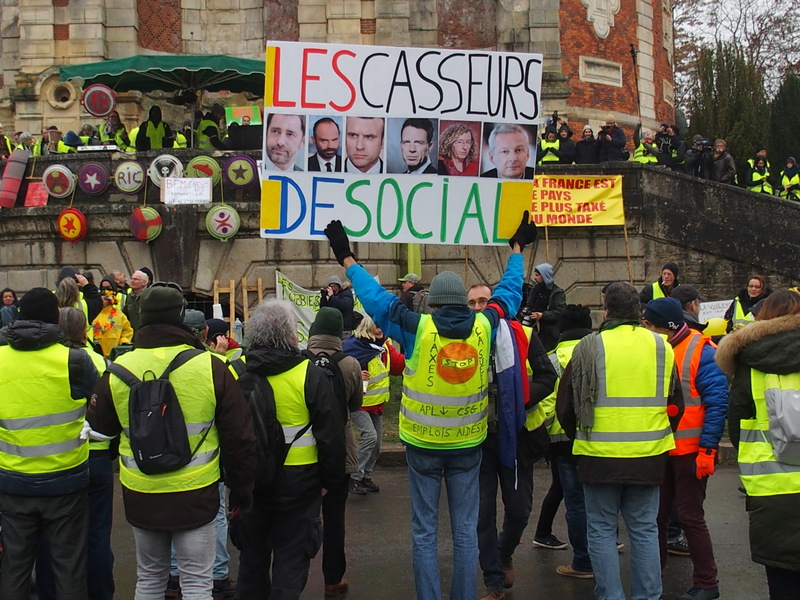 Around 6000 demonstrators, and just as the party was in full swing, we got the gate crashers – the bad actors – the air filled with tear gas as the casseurs tried to get downtown. 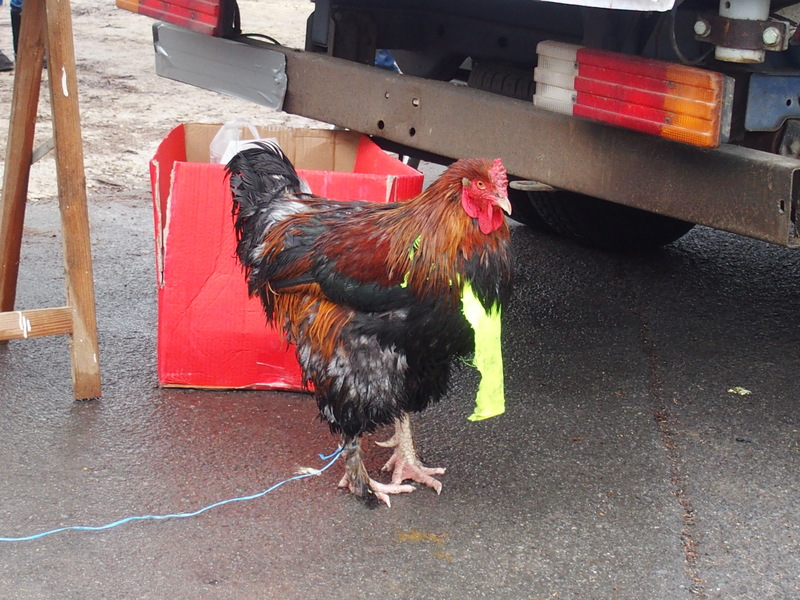 What we all feared happened, but not quite the apocolypse that we all expected. Thanks for your comments.